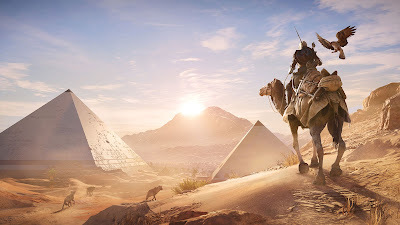 I really thought to myself “what if Assassins Creed: Origins is my actual Game of the Year?” and that made me realize how the AC series is viewed by the gaming community. It has been so saturated with yearly releases that thinking of an AC title as GOTY year material is like saying COD deserves it or Nickelback is a good band. It is not what we are supposed to do. Yes, Ubisoft is a lot to blame for annualizing the franchise, but what are they supposed to do...not make money?